An advert in which Olympic diver Tom Daley takes a selfie as he enters a swimming pool has been banned. The UK's advertising watchdog said the HTC mobile device's own instructions warn the phone should not come into contact with pool water. 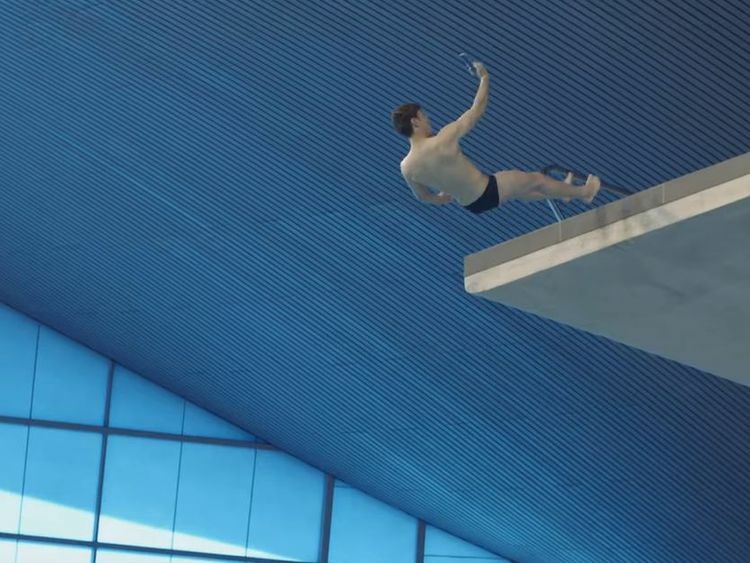 In the advert, which has been promoted on social media since mid-2017, Daley is seen jumping from the highest diving platform at a pool and taking images of himself as he jumps. He is then seen using the phone as he climbs out of the pool.The advert was highlighting the HTC U11's squeezable sides which are pressed to take a selfie.The Taiwanese company said the device's waterproof rating meant it could briefly be underwater up to a depth of 1m.HTC claimed that because Daley entered the water with his feet and held the phone above his head, the phone did not go any deeper. An on-screen warning also told viewers not to "try this stunt". However, the Advertising Standards Agency said a member of the public who attempted a similar jump would not likely be able to prevent their phone going below 1m.The ASA also said HTC had already acknowledged "there were too many variations of water temperature and chemical composition" to be able to say the U11 could be used in most swimming pools.Instructions for the device also said it should not intentionally be submerged in water and if that happened by accident its buttons should not be pressed immediately after. Due to these issues, the ASA said the ad exaggerated the phone's capabilities in a misleading manner.HTC has now removed the advert from its global accounts.